June 2015 Virgo Horoscope predicts that you can create your own fortunes as majority of the planets are in the Eastern half of your birth chart. There is no need for flexibility or to look for help from others. You can convert difficulties into opportunities. Career will be dominant during June 2015 for the Virgins. Focus will be on personal ambitions. It makes sense to keep your goals modest and take along your family and friends in your journey for success. Otherwise you will find that your career is affecting your love life. 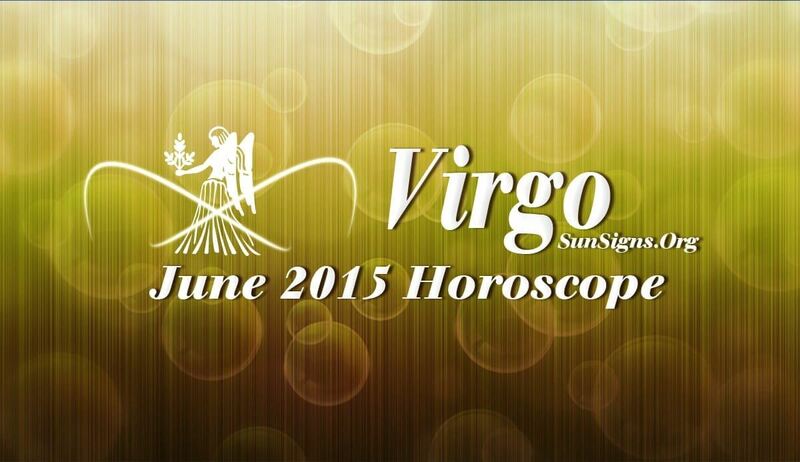 The June 2015 Virgo monthly predictions foretell that the environment in the work place will be extremely volatile and stressful. Defer all significant decisions related to your profession. People seeking new jobs should be patient and accept new offers after proper scrutiny. Do not start new business ventures this month. You will have the support of your family and friends in pursuing your monetary objectives in 2015. Foreign investments will be beneficial for the Virgo zodiac sign. Finances will be volatile with unexpected expenditures or with sudden flow of money. The Virgo June 2015 horoscope predicts that relationship compatibility between couples will be highly unstable during this period. Singles should enjoy life and defer their decisions on matters of love. They will not be in the correct frame of mind to date the right person. Try to fight fair in matters of love. It’s better to put off dealing with pregnancy related issues to the next month. Health will be fragile during June 2015 for the Virgins. Reduce work related stress and ensure peaceful conditions in the family environment. Balancing your emotional and physical stability will improve your health. Be sure to try different meditation techniques to relax your mind.